When it comes to your child's teeth, an early orthodontic evaluation is very important. Dr. Halberstadt is a Pediatric Orthodontist in Forest Hills, Bronx, and Rockville Centre, NY. When it comes to your child's teeth, an early orthodontic evaluation can be extremely important. The American Association of Orthodontists recommends that a child should first visit a Pediatric Orthodontist by their seventh birthday. Early treatment may prevent or intercept more serious problems from developing and may make treatment at a later age shorter and less complicated. In some cases, Dr. Halberstadt will be able to achieve results that may not be possible once the face and jaws have finished growing. Through an early orthodontic evaluation, you’ll be giving your child the best opportunity for a beautiful, healthy smile. What is the right time for a child to begin orthodontic treatment? In most cases, treatment for common orthodontic problems in children typically begins around ages 8 - 14. Early treatment is not always needed for younger children. Dr. Halberstadt will monitor your child's growth after their initial consultation and determine the best time for orthodontic treatment to begin. What problems require orthodontic treatment for children? Teeth crowding, excess space, jaw growth issues, protruding teeth, and bad bites are a primary focus for early orthodontic treatment in children. 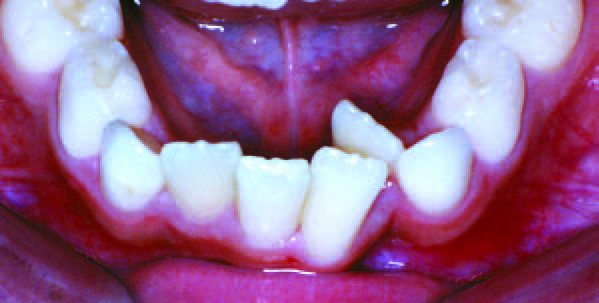 These issues can be inherited or caused by injury, early or late loss of baby teeth, as well as thumb sucking and other habits. Orthodontic appliances, including braces and headgear, can be successfully used to correct many of these problems at this stage in your child's development. Early treatment can also lessen the chance of extractions or surgery in the future, and it is likely that your child's total treatment time will be shorter and less complicated. The cost of treatment varies depending on the type of braces or Invisalign treatment required. At Halberstadt Orthodontics, we strive to provide outstanding care at an affordable price. We offer 0% financing and flexible payment plans. We also accept all insurance providers.